Insignia Group has teamed up with JLR to offer easier and more profitable means of Vehicle Personalization. Vehicle Personalization sells more cars - period. Offering customization during the car purchase allows for a better experience. This better experience exceeds the customer’s expectations, which increases the value of the purchase and therefore enhances the long-term investment in the vehicle brand, leading to referrals and repeat customers. Insignia Group is now offering its Jaguar-branded and Land Rover-branded vehicle-to-accessory visual configurator to all JLR retailer showrooms and websites. 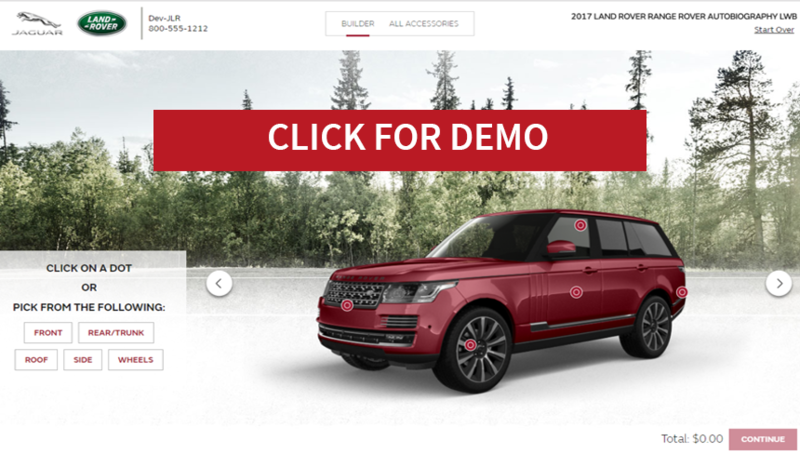 The Vehicle Configurator System (VCS) provides a prospective retail customer with a representation of JLR accessory products in an engaging virtual-environment. 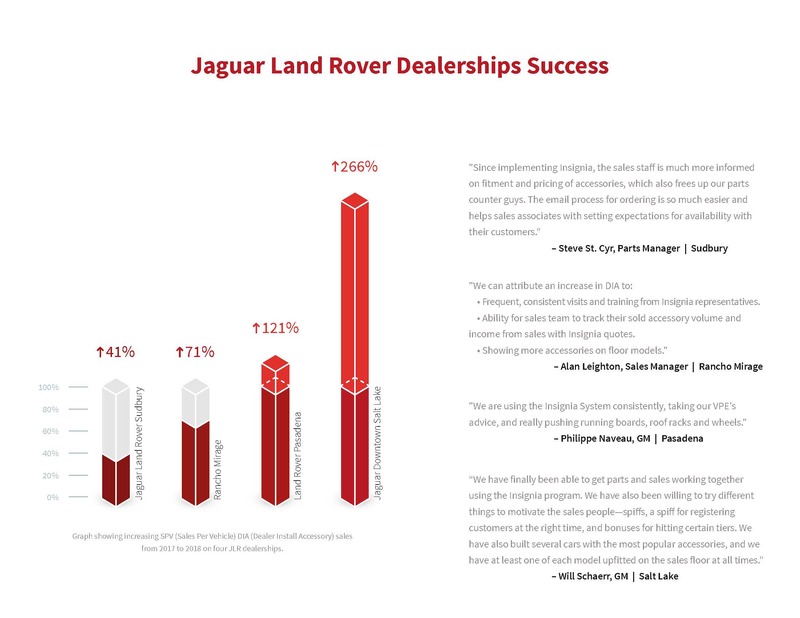 The VCS gives your sales personnel a professional system to express the advantages and availability of your JLR products and display how they appear on the vehicle. Insignia is also offering programs to assist JLR retailers in developing a consistent and repetitive process for presenting Dealer Installed Accessories (DIA). Insignia has the expertise, curriculum, and resources to support the development and growth of your retailer through Vehicle Personalization. Review offerings below and fill out the form to the right to receive your appropriate agreement by email. Fill out the following form to receive your agreement by email. Fill out the form to receive your agreement by email. Retailer specific pricing changes and user setup.